The Wall Street Journal calls them “the travel industry's equivalent to the Oscar's”. World Travel Awards was established in 1993 to acknowledge, reward and celebrate excellence across all sectors of the tourism industry. 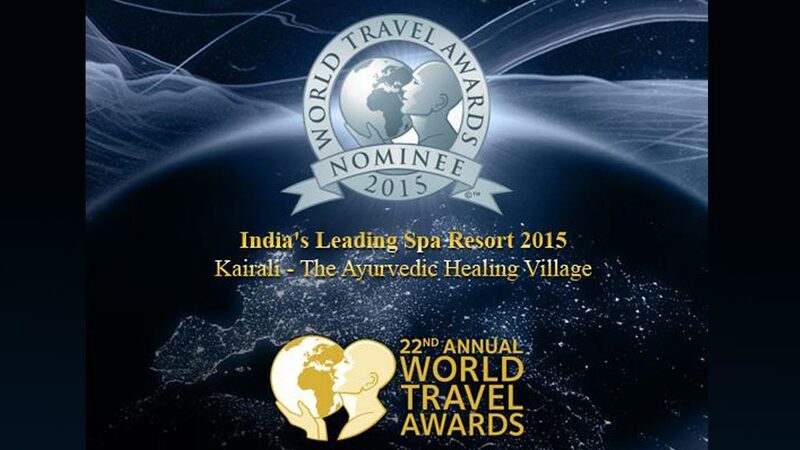 Vote for Kairali - The Ayurvedic Healing Village at the World Travel Awards today! The World Travel Awards are recognized globally as the ultimate hallmark of quality, with winners setting the benchmark to which all others aspire. Awards are presented across three tiers: country, regional and world awards. The country awards reflect the range of products and service offerings of an individual country’s travel and tourism industry. This year Kairali – The Ayurvedic Healing Village, in acknowledgment of its growing renown and reputation as the country's best destination spa, has been nominated in the category “India's Leading Spa Resort” at the World Travel Awards 2015. The winning nominee is determined by votes from the traveling public and travel industry professionals. It would mean a great to us if you would acknowledge your positive experience with any Kairali brand by casting your vote for Kairali – The Ayurvedic Healing Village. For those not familiar with the resort, Kairali – The Ayurvedic Healing Village has received a steady stream of accolades, most recently being named "Best Destination Spa” at the Indian Salon & Wellness Awards, 2015. It was showcased by National Geographic as one of the best wellness meccas of the world (top 10 in Asia and top 50 globally) and received the Hospitality Excellence Award 2014 from Brands Academy as well as Trip Advisor’s Certificate of Excellence 2014. Support Kairali – The Ayurvedic Healing Village by taking a moment to register and cast your vote now!